The SAT is a standardized test administered by the College Board, a non-profit organization that runs other programs including the PSAT (Preliminary SAT), AP (Advanced Placement) and CLEP (College-Level Examination Project). The SAT along with the ACT are the primary entrance exams used by colleges and universities in the United States. The SAT and the Problem of "Aptitude"
The letters SAT originally stood for the Scholastic Aptitude Test. The idea of "aptitude," one's natural ability, was central to the exam's origins. The SAT was supposed to be an exam that tested one's abilities, not one's knowledge. As such, it was supposed to be an exam for which students could not study, and it would provide colleges with a useful tool for measuring and comparing the potential of students from different schools and backgrounds. The reality, however, was that students could indeed prepare for the exam and that the test was measuring something other than aptitude. Not surprisingly, the College Board changed the name of the exam to the Scholastic Assessment Test, and later to the SAT Reasoning Test. Today the letters SAT stand for nothing at all. In fact, the evolution of the meaning of "SAT" highlights many of the problems associated with the exam: it's never been entirely clear what it is that the test measures. The SAT competes with the ACT, the other widely used exam for college admissions in the United States. The ACT, unlike the SAT, has never focused on the idea of "aptitude." Instead, the ACT tests what students have learned in school. Historically, the tests have been different in meaningful ways, and students who do poorly on one might do better on the other. In recent years, the ACT surpassed the SAT as the most widely used college admissions entrance exam. In response to both its loss of market share and criticisms about the very substance of the exam, the SAT launched an entirely redesigned exam in the spring of 2016. If you were to compare the SAT to the ACT today, you'd find that the exams are much more similar than they had been historically. Reading: Test-takers answer questions about passages they read. All questions are multiple choice and based on the passages. Some questions will also ask about tables, graphs, and charts, but no math is required to answer the questions. Total time for this section: 65 minutes. Writing and Language: Test-takers read passages and then are asked to identify and fix mistakes and weaknesses in the language. Total time for this section: 35 minutes. Mathematics: Test-takers answer questions related to the types of math you're likely to encounter in college and your personal life. Topics include algebra, data analysis, working with complex equations, and some basics of trigonometry and geometry. Some questions allow the use of a calculator; some do not. Total time for this section: 80 minutes. Optional Essay: The optional essay exam asks you to read a passage and then make an argument based on that passage. You'll need to support your argument with evidence from the passage. Total time for this section: 50 minutes. Unlike the ACT, the SAT does not have a section focused on science. The SAT exam takes a total of 3 hours without the optional essay. There are 154 questions, so you'll have 1 minute and 10 seconds per question (by comparison, the ACT has 215 questions and you'll have 49 seconds per question). With the essay, the SAT takes 3 hours and 50 minutes. Prior to March, 2016, the exam was scored out of 2400 points: 200-800 points for Critical Reading, 200-800 points for Mathematics, and 200-800 points for Writing. An average score had been roughly 500 points per subject area for a total of 1500. With the redesign of the exam in 2016, the Writing section is now optional, and the exam is scored out of 1600 points (as it had been back before the Writing section had become a required component of the exam). You can earn 200 to 800 points for the Reading/Writing section of the exam, and 800 points for the Math section. A perfect score on the current exam is a 1600, and you'll find that most successful applicants to the country's most selective colleges and universities have scores in the 1400 to 1600 range. The SAT is currently administered seven times a year: March, May, June, August, October, November, and December. If you're wondering when to take the SAT, the August, October, May, and June dates are the most popular — many students take the exam once in the spring of junior year, and then again in August or October of senior year. For seniors, the October date is often the last exam that will be accepted for early decision and early action applications. Be sure to plan ahead and check SAT test dates and registration deadlines. Note that prior to the 2017-18 admissions cycle, the SAT was not offered in August, and there was a January test date. The change was a good one: August gives seniors an attractive option, and January wasn't a popular date for juniors or seniors. No. 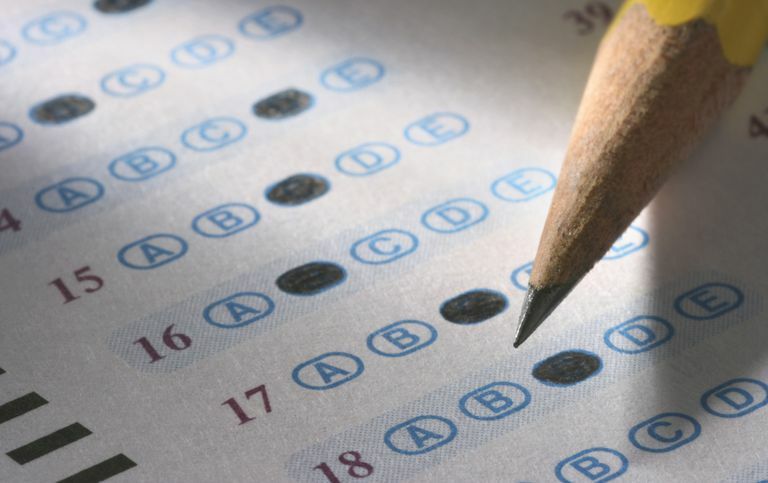 Nearly all colleges will accept the ACT instead of the SAT. Also, many colleges recognize that a high-pressure timed exam is not the best measure of an applicant's potential. 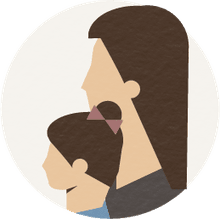 In truth, studies of the SAT have shown that the exam predicts a student's family income far more accurately than it predicts his or her future college success. Over 850 colleges now have test-optional admissions, and the list keeps growing. Just keep in mind that schools that don't use the SAT or ACT for admissions purposes may still use the exams for awarding scholarships. Athletes should also check NCAA requirements for standardized test scores. How Much Does the SAT Really Matter? For the test-optional colleges mentioned above, the exam should not play any role in the admissions decision if you choose not to submit scores. For other schools, you're likely to find that many of the country's most selective colleges downplay the importance of standardized tests. Such schools have holistic admissions and work to evaluate the whole applicant, not just numerical data. Essays, letters of recommendation, interviews, and most importantly, good grades in challenging courses are all pieces of the admissions equation. On the plus side, you clearly don't need perfect 800s to get into painfully selective universities such as Harvard and Stanford. On the other hand, you are also unlikely to get in with scores significantly lower than those listed in the 25th percentile columns above. The SAT is constantly evolving, and the test you will take is quite different from the one your parents took, and the current exam has little in common with the pre 2016 exam. For good or bad, the SAT (and ACT) remains a significant piece of the college admissions equation for the majority of non-profit four-year colleges. If your dream school has selective admissions, you'd be well advised to take the test seriously. Spending some time with a study guide and practice tests can help make you familiar with the exam and more prepared come test day. Does the SAT Writing Section Even Matter?